Diabgon capsules are prolific supplements to lower blood sugar levels and keep blood sugar within healthy limits. These herbal diabetes supplements handle the problem of high blood sugar naturally by improving pancreatic functions. Improved pancreatic functions release insulin in higher quantity to metabolize sugar and increase energy. 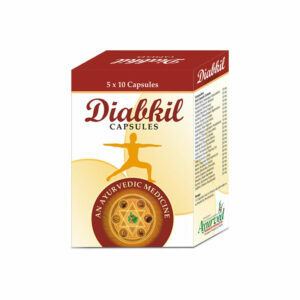 These herbal diabetes pills treat lethargy and tiredness associated with diabetes along with lowering high blood sugar levels. Diabgon capsules suppress side effects of disease like frequent thirst, urination and urge to eat; these also prevent issues like pain in legs, and speed-up slow healing of wounds. Eyes, kidneys, liver, heart, blood vessels and nerves are at high risk due to diabetes. 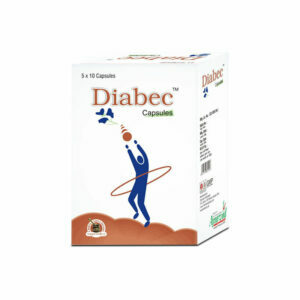 Diabgon herbal diabetes pills protect these organs and overall health and provide relief from other ill-effects to improve quality of one’s life. Diabgon capsules possess herbs which metabolize fat faster and maintain healthy cholesterol levels. These also prevent plaque deposition in arteries and keep blood vessels free from blockages. The ingredients of these herbal diabetes supplements improve cardiac, immunity, urinary and digestive system and keep a person energized to lead a normal life despite of diabetes. These supplements for type 2 diabetes on regular use reduce intensity of the problem and also help diabetic in maintaining dietary control. These suppress frequent cravings to eat and control urge to eat sugary. Use of these supplements prevent disease from progressing and keep it under control safely and easily. These are most effective diabetes supplements which maintain healthy sugar levels and check progression of disease. These enhance body’s natural mechanism to metabolize sugar and utilize it for energy production. The benefits of these supplements not only protect health from high blood sugar but also reduce intensity of the problem. These pills prevent sugar levels from shooting up and slowdown supplementation of sugar to blood during digestion. These enhance immunity and promote healing of wounds faster to suppress aggravated side effects of disease. 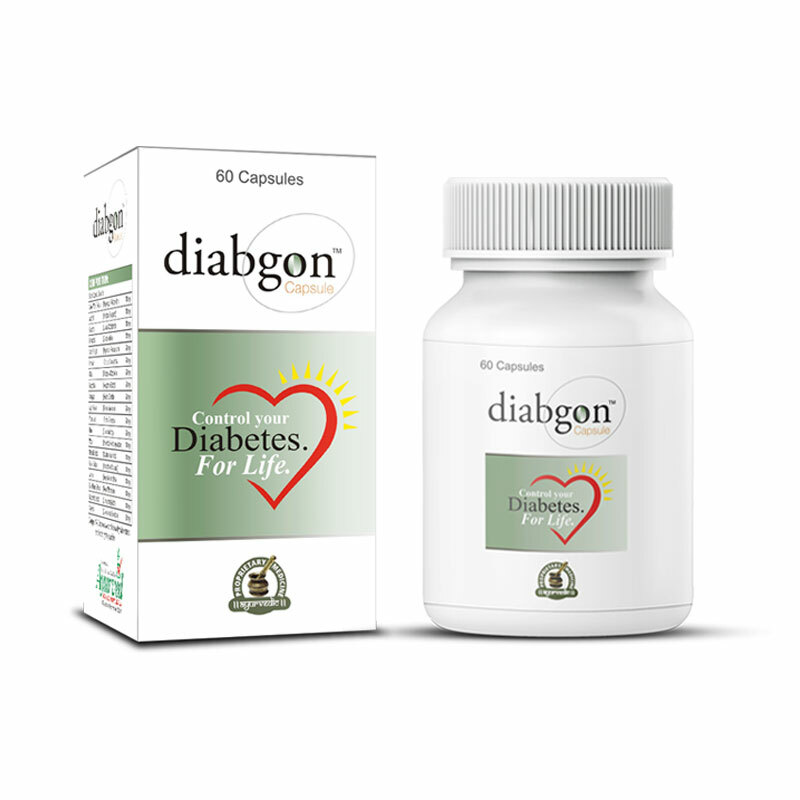 Diabgon capsules prevent blockages in blood vessels, protect nerves and other vulnerable organs including heart from side effects of diabetes. These are non-contradictory hence can be used with any other on-going treatment. Use of herbs is reckoned as complicated but Diabgon capsules are simple to use. Just consume one or two pills after breakfast and dinner and lead a healthy lifestyle. Maintain strict dietary control to prevent sugar levels from piking. My sugar levels were going continuously up even after being so careful with my dietary intake. I started taking Diabgon capsules. These helped me in maintain healthy sugar levels and prevent sugar levels from shooting up. This product works tremendously. Diabgon Capsules helped me to control my blood sugar levels effectively. My mom has diabetes. She started using Diabgon after the suggestion of her friend. Diabgon capsule helped her to maintain sugar levels and control diabetes. Great product! I have noticed an improvement in my blood sugar since started taking it.